First up, this is NOT a sponsored post. I’m just excited to find a basting spray that works beautifully. Previously I tried 101 and I was disappointed with it and almost swore off spray basting ever again. 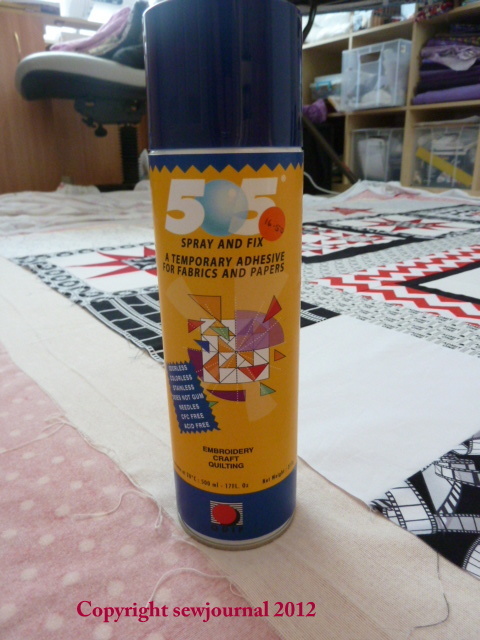 However, I heard many people say that they had spray basted even large quilts with no problems so I did some research on the web and found good reviews for 505 and decided to try it. The GAZ Blanket has had to become the GAZ Quilt because the minky I’m using for backing shows through the white on the top so I’ve had to add some batting. 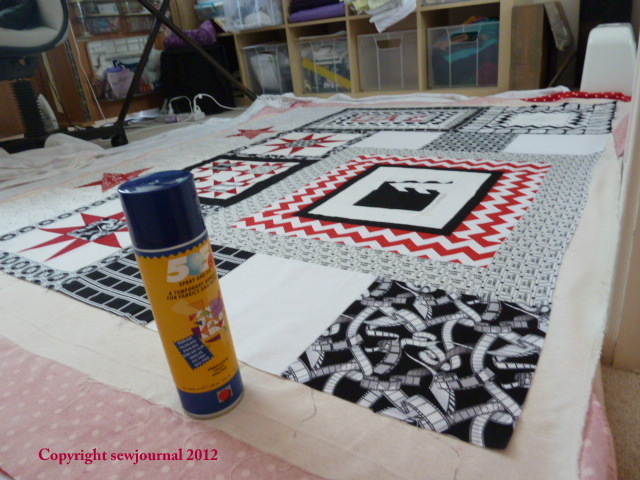 I’m using the Freudenberg Quilt Lite that I’ve used before because I don’t want it to be too heavy (I have to post it to England after all). So I have used the 505 to baste it and I found it so easy to use and it actually sticks! I basted it flat as I didn’t have any way of hanging it.